On March 11, the Fillmore Central speech team competed in the C1-1 District Speech contest at Doniphan-Trumbull. 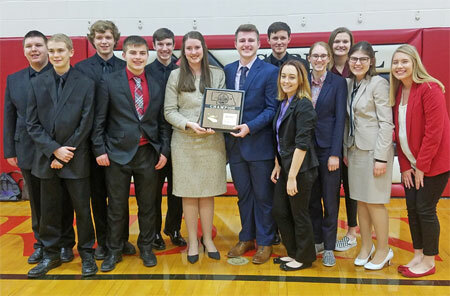 Fillmore Central sent 14 events to finals, 11 of which qualified for the state tournament and the team brought home the district championship plaque. The district team this year is a mix of freshman through seniors. All five seniors competing at districts qualified for state. In addition to the team earning the district champion spot, two speakers were recognized as individual champions. Tori Stoldorf took first place in Serious Prose and Ryan Poppert took first place in Extemporaneous Speaking. In Class C district competition, each speaker is only allowed to compete in two events and the following students qualified in both of their events: Tori Stoldorf, Braden Myers, Trevor Meyer and Hunter Verhage. With 11 state qualifying speeches, Fillmore Central ties with two other schools (Bridgeport and Wisner-Pilger) for the most entries in Class C heading into the state tournament on Thursday at UNK. Extemporaneous: Ryan Poppert, first place, qualified for state; Abbey Parten, second place, qualified for state. 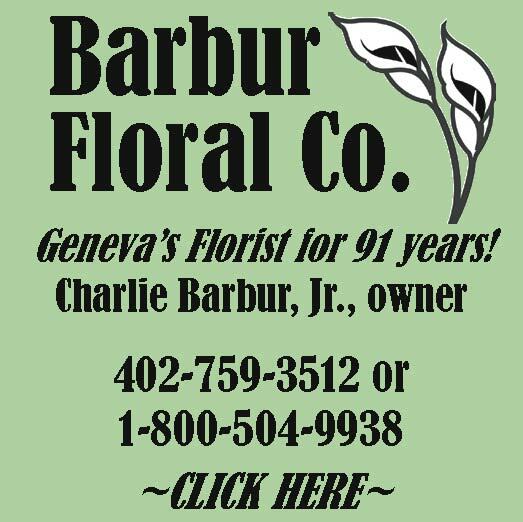 Serious: Tori Stoldorf, first place, qualified for state; Destiny McCaul, third place, qualified for state. Humorous: Trevor Meyer, second place, qualified for state; Hunter Verhage, third place, qualified for state. Informative: Elise Frook, third place, qualified for state; Ryan Poppert, fourth place. Entertainment: Wyatt Nun, second place, qualified for state; Brock Godown, fourth place. Duet Acting: Braden Myers and Brooke Jensen, second place, qualified for state. Persuasive: Tori Stoldorf, second place, qualified for state; Abbey Parten, fifth place. Oral Interpretation of Drama: Braden Myers, Trevor Meyer, Brock Godown, Hunter Verhage and Zander Johnson, third place, qualified for state.